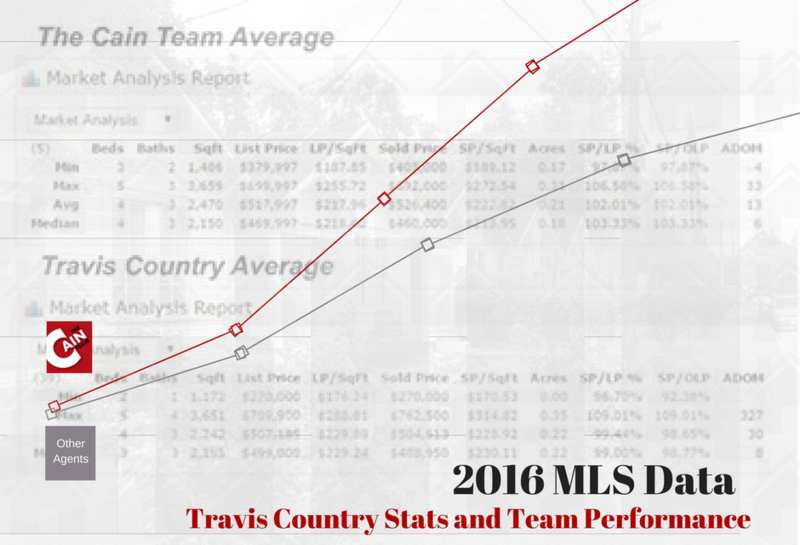 Aside from our impressive report on real estate stats in Austin for 2016, we've got some good news about our performance in Travis Country, too! Using data collected from the MLS, we have compiled a metric measuring how well we fared in providing our excellent home buying and home selling services to our clients in this amazing community. Here are some of the things you might want to know that truly attest to us being "the most trusted home buying and home selling team" in Travis Country! Cain Realty Group sells for 3.36% more than the neighborhood average. This means an average of $17,687, based on the average Travis Country home sales price. Cain Realty Group sells their clients' homes in approximately 13 days from the time of listing. That's less than half the market average. Cain Realty Group gets their clients 5.64% more than discount brokers. Compared to two other realtors servicing Travis Country, Cain Realty Group got their sellers over 3.89% more than their immediate competitors' averages. We may not be the biggest team in Austin, but we hold true to our word that we are "the most trusted home buying and home selling team", and for good reason! As we gear towards growing our team this 2017 to service more clients in Travis Country, we aim to provide the same kind of excellent service to more people. If you or anybody you know needs people they can trust for their home buying or home selling needs, please do get in touch with us. And for professionals who are committed to providing exceptional service to any clients they may have, we are also hiring! Check out our list of career opportunities by clicking on the link.